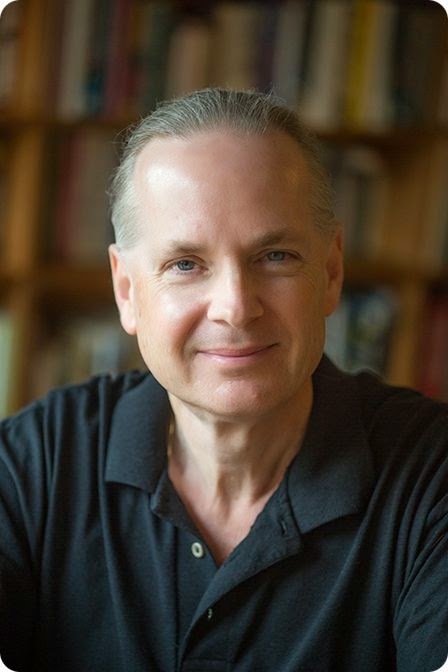 Paul DeBlassie III, Ph.D., is a psychologist and writer living in Albuquerque, New Mexico who has treated survivors of the dark side of religion for more than 30 years. 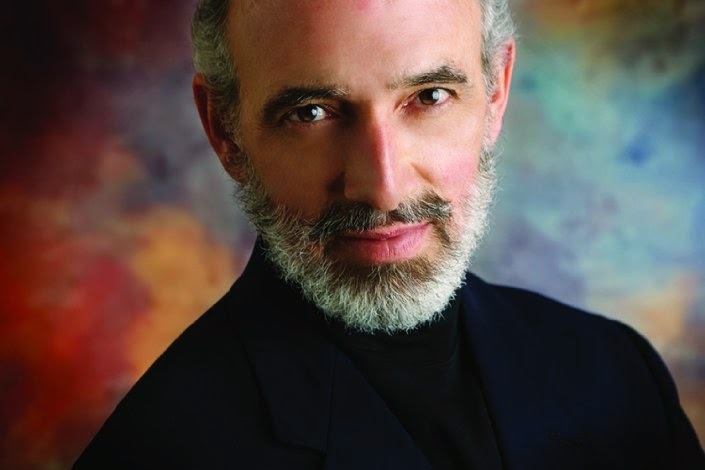 He is a member of the Depth Psychology Alliance, the Transpersonal Psychology Association and the International Association for Relational Psychoanalysis and Psychotherapy. Dr. DeBlassie writes psychological thrillers with an emphasis on the dark side of the human psyche. In The Unholy, a young curandera, a medicine woman, intent on uncovering the secrets of her past is forced into a life-and-death battle against an evil archbishop. 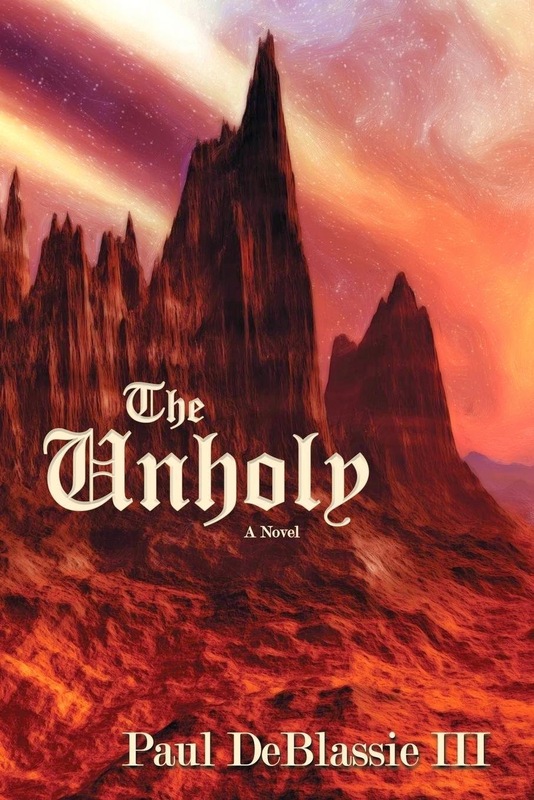 Set in the mystic land of Aztlan, the Unholy is a novel of destiny as healer and slayer. Native lore of dreams and visions lure the unsuspecting into a twilight realm of discovery and decision. I get the impression that The Unholy is a book only you could write, because of the setting, and because of your own background. Let's start with the setting. Tell me about Aztlan. Aztlan is the mythopoeic realm of the mestizos (mixed bloods of southwestern United States). I am mestizo. Aztlan is New Mexico, especially the region of Albuquerque (southern Aztlan) and Santa Fe (northern Aztlan) and extends to the four corners area. Spirits, dreams, visions, and natural magic are woven seamlessly into everyday life. Your protagonist, Claire Sanchez, is a curandera, a term which roughly translates as "Medicine Woman." What exactly is a curandera? What led you to choose this occupation for your heroine? A curandera is a healer. She spoke to me as the story evolved, told me who she was and told me of her struggle to find herself. The path of a healer is fraught with danger. She dramatizes the life of so many women and men seeking to face their fears, find themselves, and walk the path of healing, natural magic, and life. Faith and religion are central themes of The Unholy. You explore the abuse of religion and the conflict that can come from spirituality. What would you say is the central theme or message of The Unholy? What impact are you hoping to have on your readers? The central message of The Unholy is Religion Kills. It is made explicit at the end of the tale. News media broadcast Religion Kills as they describe the battle between the evil Archbishop and the young curandera. You live in New Mexico, in the general area where the novel is set. How has this affected the writing of The Unholy? How important was your knowledge of the places and people and culture? What kinds of personal knowledge did you draw on as you crafted your characters and setting? New Mexico is Aztlan. My lineage reaches back for over three-hundred years in Aztlan, a long line of medicine people, healers. I live here, breathe its air, am sheltered under the canopy of its turquoise sky. The Unholy and the natural magic of the medicine women, forces of darkness and light, exist side by side in the daily, mythopoeic realm of Aztlan. I live here. It is my homeland. How has your training and experience as a psychologist impacted your writing in general? For over thirty years I have treated survivors of the dark side of religion. I chose to write a novel about this human drama. Stories cut to the chase. I’ve written three other books in psychology and spirituality, but there is nothing like stirring the imagination via story to set the mind working and the heart healing. I know you've had some specific experiences in your role as a psychologist that led to your decision to write this book. Tell me about that. Religion can be both terrifying and damaging. I help people to heal from the dark side of religion. Decades of such experience led me to write this book and the ones that will follow. Each phantasmagoric story, much like The Unholy, plumbs the dark and light sides of human nature and spiritual experience. The cover image for The Unholy is striking and haunting, and it's not just some random stock photo. Tell me about that picture. It is the Devil’s Throne, an actual site between Albuquerque and Santa Fe. The evil archbishop performs atrocities there. The land has been contaminated by evil, women desecrated, the air itself befouled. It is the Devil’s Throne in the realm of Azltan! …where the power of steam has already passed from the age of unsatisfactory experiments to the first country-spanning railways and ships that no longer sail at the whims of weather. Roberta Stephenson is the daughter of the ‘Father of Railways’…a girl almost raised in the engine works and through her experience, and education in the most advanced halls of Miss Mather’s Academy for Girls, is fit to become manager and designer at her father’s steamship yard on the Clyde. And Britain needs Roberta’s expertise, for fate in this world has dealt more kindly with Napoleon, allowing him to extricate most of his army from Moscow in 1812, and granting him at least a draw at Leipzig in 1813. With developments of the steamships begun in France in 1783 he is ready to take one more gamble to rid himself of the interference of Perfidious Albion, and the island’s safety may depend on the steam powered rams Roberta is offering to their lordships of the Admiralty. Complicating Roberta’s professional life are her romantic suitors: Lord Julian Bond, man about town and Admiralty spy; the enigmatic Symington Holmes; and Engineer Lieutenant Alfred Worthington RN. It seems that Roberta is destined to choose one of these gentlemen, but will she choose wisely? I'm enjoying this novel, it's just slow going because I was studying last week and my daughter has been sick. You can read my review of this novel at TC&TBC. I highly recommend this book. The body that washes up on the beach leads Detectives Milligan and Zachary on a murder investigation that includes the victim’s family members, his housekeeper, three long-time friends, and a mystery woman. This is the latest Rocky Bluff P.D. novel. I'm due to review this one at the end of next month, so this is definitely my next read. 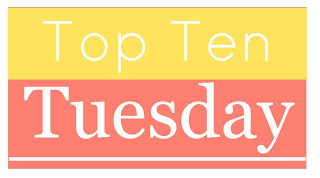 Finish the oldest ten books in my TBR pile. I've had some books kicking around here for more than two years. I know if they are here I was interested enough to request them or buy them, so I would like to find a way to read them. I also enjoy donating books to our local library's book sale and to other organizations who can use them, so reading more would help make that happen. Get to know more local authors. I have clients all over the country, but I haven't done the best job of supporting and networking with local authors. I'm working on changing that. Read more craft books. I'm not big on reading books on the craft of writing. I own several, but they are usually low on my priority list--mostly because I owe so many people reviews, but also because my own writing takes a back seat to other things sometimes. Learn how to create my own blog designs. This a pie in the sky type of wish right now. I simply don't have time. I won't even get into the whole hubby would think it's a waste of time argument. Find better storage solutions for my book collections. I have so many lovely books here. I wish I had a better and more attractive way to display them than stuffing them into regular bookshelves two deep. Convert our formal living room into a reading room. I've always wanted to do this, despite the fact that this room isn't the best choice because of the lack of natural light. We would need to lighten the wall color and change the window treatments in order to make it useful. I would love to add built-in bookshelves along one wall and then order some comfy chairs and matching ottomans. Start a book podcast. I would love to talk about books with others. Not sure if I would make a good host. Time is also a consideration. It's just something I've considered more than once and think would be wonderful. Attend a book signing for a favorite author. I can't believe I've never done this. Attend BEA in New York City. This sounds like an amazing event. Even if I only attended once, it would be worth it. Attend a SCBWI conference. Our local one takes place only 15 minutes away each spring. If I could get the money together, I would go in a heartbeat. What's on your bookish bucket list? I downloaded this cozy mystery back in February when it was free. The cover drew me in, but what I really liked is that this mystery is set in a library. 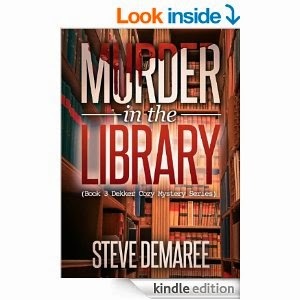 BLURB: A man is found murdered in the locked library in his home. Surveillance cameras show that no one other than the deceased entered the library. The deceased left a clue for the police, only they cannot figure out what the clue means. COVER: Like I already mentioned, the cover is what drew my attention to the book. It's nicely done with the library bookshelves in the background and the blood dripping through the word "Murder." FIRST CHAPTER: The reader is introduced to Lieutenant Cy Dekker, Sergeant Lou Murdock, and their mentor Colonel James Buckham Hardesty. Dekker and Murdock are semi-retired cops who work homicide investigations. When Cy receives an odd phone call from the Colonel, he decides it's time he and Lou pay their mentor a visit...but not before stopping for lunch at the Blue Moon. KEEP READING: This opening chapter does nothing more than set the stage for what is to come. A distressed call from a friend, which one can assume leads to murder somewhere down the line. There is no real hook except the anticipation of a murder. It's a good deal of backstory; which is unfortunate, because it doesn't encourage the reader to move forward unless you just have to know who has been murdered. I enjoyed the first person narration. Cy has his own style that clearly comes through. I'm not sure it's enough to make me want to go on. I'll probably stick with it for another chapter to see if the pace picks up. 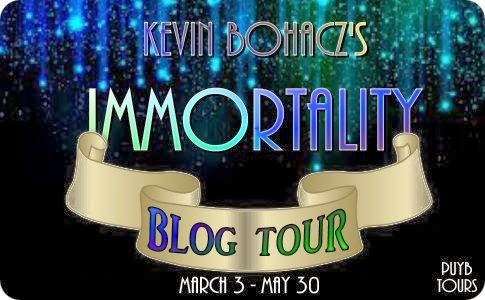 I am Kevin Bohacz the bestselling novelist of Immortality and a lucid dreamer… Welcome to my dreams. I am also a writer for national computer magazines, founder and president of two high technology corporations, a scientist and engineer for over 35 years, and the inventor of an advanced electric car system – the ESE Engine System (circa 1978). I was also a short order cook for I-Hop, flipped burgers at McDonalds, and delivered Chicken Delight. All of those careers and more are behind me now that I am a full time storyteller, a catcher of dreams. Thank you for reading my stories and making this all possible. I am a dreamer in every sense of the word and in every aspect of my life. Besides dreaming up all my novels, I am a lucid dreamer and my dream life is wildly prolific. In the past three years I have recorded over 5000 dreams in my journal, and well over 300 of them were vivid hyper-real lucid dreams. I’ve had as many as 17 dreams in one night. I never try to control my lucid dream journeys. I let them unfold and develop on their own. To me controlling a lucid dream is like trying to control life instead of fully experiencing it here and now. I literally feel like I have two lives. One life in this material reality and a second life in dream reality. I started writing in the late 1980’s. My first novel, Dream Dancers, was published in 1993. I have been working as a fulltime writer for over 4 years. I’ve completed 4 novels and am currently working on three new ones. I write all the time. Writing is my essence, my passion. It is my very life. To me writing is like breathing—it is vital sustenance for my soul. A day without writing is… well… unimaginable. I never have writer’s block and writing without exaggeration has actually saved my life. Not very long ago I was widowed at a young age. My wife, my best friend of 17 years died in my arms while we looked into each other’s eyes. In the time that followed, when I was drowning in grief, I could hear my wife whispering to me, “Write my love… Write.” So I wrote. I wrote so hard that my arms grew sore. I wrote so hard that I gave myself tendonitis. My writing saved me from grief that was dark enough to crush the life from me. I completed my forth novel Ghost of the Gods in an amazingly short period of time while also simultaneously working on my new novels. The epic tale of my bestselling novel Immortality and Ghost of the Gods was intended from the beginning to be a two part story about many things: physical immortality as well as nonphysical immortality, love, the end of an old world, lucid dreams, and inexplicable mysteries answered while exposing the darker sides of human nature to the antiseptic of bright sunlight. The short answer to your question is the inspiration comes from my muse. The longer answer is my novels come from daytime dreams as well as nighttime dreams. When I am writing it really does not feel like I am creating the material. It feels like I am watching daydreams that come from somewhere other than me, and I am merely typing as fast as I can to capture the daydream that is unfolding before my eyes. For all four novels I have written, I first created thousands of pages of meticulously detailed background material. Once I feel the characters have become like friends to me, I sit down and start writing. Invariably, in a short time the characters stage a revolt and the story takes on a life of its own veering off in directions I never planned. In the end I typically use about 1% of the meticulously detailed background material. Thousands of years ago the Greeks and Romans thought that all creative people were merely channels for muses. I truly cannot figure out where my stories come from. Out of a process of elimination I have decided they come from some Jungian collective awareness that we might as well call a muse! I knew Immortality was a timely, entertaining, and marketable novel. Some extremely successful literary professionals, including more than one famous writer, had read it and told me they loved it. So here I was a published author unable to open a single door into the major publishing houses. Three years later I had reached the point where I either had to give up or publish it myself. Back in 2006 self-publishing carried the stigma of failure, but I had no choice. I knew in my gut Immortality was a fantastic story. So I started a small publishing company, hired an offset-printer, and proceeded to manufacture and sell Immortality. At this point I felt like I just could not win. Years ago, I didn’t have a big enough following, and now that I had a following, it seemed the publishers wanted something more. They wanted an unpublished book. I explained that 95% of the copies of Immortality had been sold on Amazon, which meant that I had tapped less than 50% of the potential market for a book in this genre. So while it was a bestseller, the lion’s share of the meat was still on this bone yet no publisher was interested in the feast. With fractional market penetration I had made a pile of money, but there was many times more to be made if a big publisher would get behind the book. Yet it now felt like with regard to attracting a publisher, success was my worst enemy. Today, three years later I now have a new amazing NYC agent from a top firm who has closed deals for other indie authors in exactly the same “Goldilocks and the Three Bears” predicament as me. In the last six months I have received glowing critical reviews, including Publisher’s Weekly who has awarded STARRED reviews to both Immortality and Ghost of the Gods. There is interest from Hollywood in making Immortality into a movie. I have every confidence that this time we’ll succeed in finally getting a solid publishing deal. Amazon is the preferred venue, and they do have an exclusive on the e-book editions of all my books for now. Paperback editions of all my books are distributed by among others Ingram (the world’s biggest book distributor) so in theory you can buy them anywhere. Absolutely… The website is www.kbohacz.com and the blog is my author’s Facebook page www.facebook.com/KevinBohaczWriter. I can always be found lurking around my author’s Facebook page and anyone can strike up a conversation with me there. I am working on a techno-thriller supernatural thriller titled Dream Signs that will be out later this year. At the same time I am working on another techno-thriller supernatural thriller titled The Bridge and it will not be done until sometime next year. I have a powerful emotional connection with The Bridge, more so than with any other novel I have written. To all my readers, thank you for making my dream come true and to everyone else please take Immortality and Ghost of the Gods for a test drive! I promise you a thrilling ride that you will not forget. 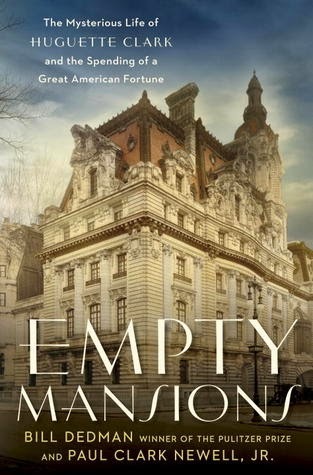 Empty Mansions by by Bill Dedman Paul Clark Newell Jr. I've been seeing this places and it sounds fascinating. 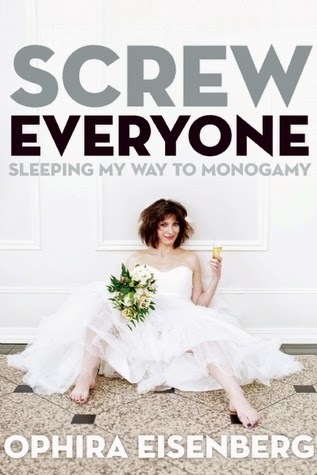 Screw Everyone: Sleeping My Way to Monogamy by Ophira Eisenberg sounds hilarious. 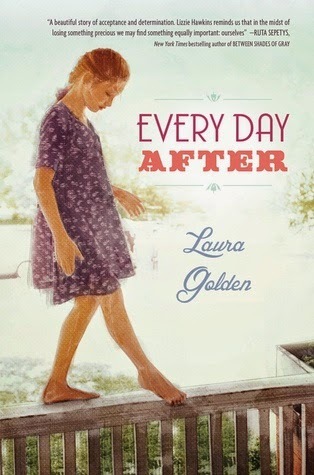 Every Day After by Laura Golden seems like it will tug at a million heartstrings. 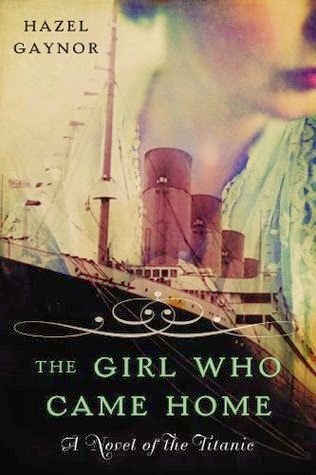 The Girl Who Came Home: A Novel of the Titanic by Hazel Gaynor. I love stories that connect past and present. Looks like this one will be great. 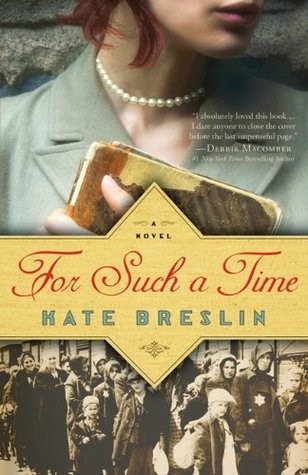 For Such a Time by Kate Breslin. I've always been partial to books set in early America and during the Civil War, but lately World War II fiction is catching my attention. 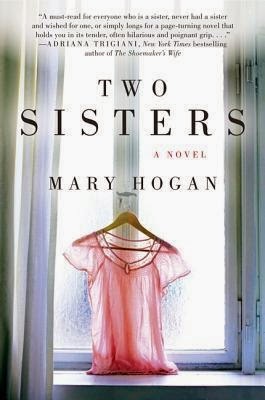 Two Sister: A Novel by Mary Hogan caught my eye lately too. Sister relationships fascinate me. 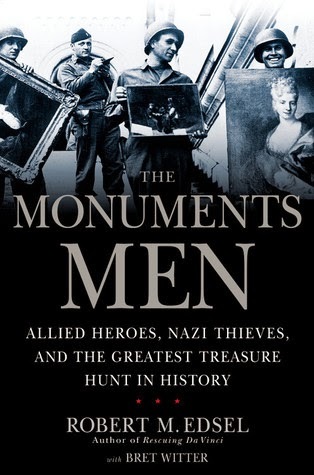 My husband and I went to see The Monuments Men Friday night starring George Clooney, Matt Damon, John Goodman, Bill Murray, Cate Blanchett, Hugh Bonneville, Jean Dujardin, Bob Balaban, and Dimitri Leonidas. We didn't know this was a true story, but after such an excellent movie, I want to know more. I ordered the book from Amazon. We Were Liars by E. Lockhart made Publishers Weekly's list for the most anticipated books of Spring 2014. Plus it's set on a secluded island off Cape Cod. As a person who has lived in Massachusetts her entire life, it's a must read. 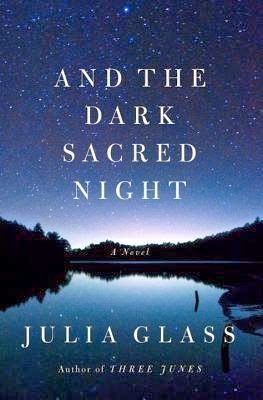 I've been seeing And the Dark Sacred Night by Julia Glass all over the place. I really want to read it. 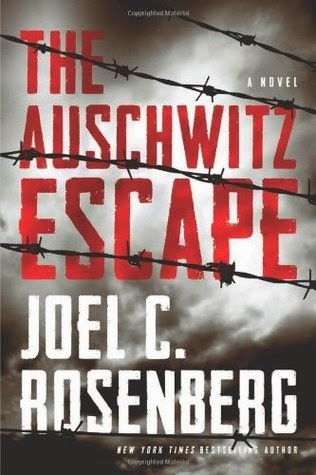 Another World War II novel I would like to read is The Auschwitz Escape by Joel C. Rosenberg. What's the book you're most looking forward to reading this spring? This is a weekly meme run by Miz B of Should be Reading. First of all, happy St. Patrick's Day. Hope you're having a great one. Today, I am going on a mini-rant about my own overloaded schedule. Ever have one of those weeks where you really want to read, plan to read, know you have to read to stay on top of things, but it simply won't come? You're distracted. Your mind is off in a million different directions and you either stare at the same page for 10 minutes or get to the end of a chapter and can't remember a darn thing you've read. That's where I am right now. 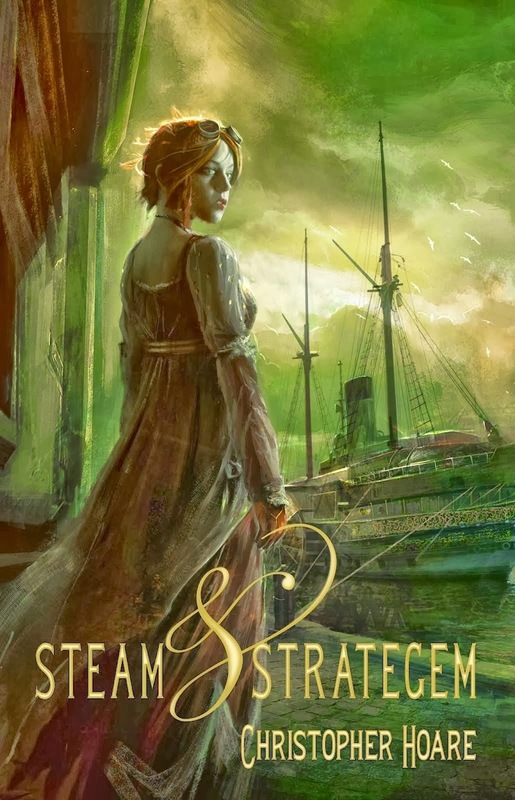 I'm reading Steam and Stratagem, but even though the first chapter was strong with a great hook, I'm languishing five chapters in. It's not the book's fault. Though I've never read steampunk before, that's not the issue. I've read other books by Chris Hoare, so I know he's an excellent storyteller. The characters are interesting. The plot engaging. It's got a bit of humor. I simply can't get my wandering mind to focus on it. I'm hoping once my real estate exam is over on Wednesday and I know if I've passed, that my mind will be freer to enjoy this book the way it deserves. The Montana Gallagher Collection Book Boost & Giveaway! "Where words, romance, and adventure meet." She was on a quest of discovery. He was on a quest for revenge. Together they would discover a second chance. Brenna Cameron travels from Scotland after losing someone she loves in search of family she didn't know existed. Alone now in the world, Brenna makes an arduous journey, following the trail of discovery to Briarwood, Montana. Here she meets Ethan Gallagher, and the rest of the Gallagher clan. Only with their help is she able to discover lost family, heal old wounds, and embark on a treacherous confrontation with a man who destroyed her family. As head of the Gallagher clan, Ethan has more than enough to occupy his thoughts and time he didn't need the complication of Brenna Cameron and he certainly didn't need the trouble that came with her. Ethan takes on the unwanted duty of self-appointed protector to the headstrong Scot, only to discover there is such a thing as second chances and more to life than revenge. She sought a new beginning.He sought what he didn't know was missing. Together they would discover hope in unlikely places. Isabelle Rousseau must escape New Orleans and the memory of her family's tragic loss. With her younger brother in tow, she accepts a position as the new schoolteacher in Briarwood, Montana. Desperate to keep what's left of her family together, Isabelle joins her life with a stranger only to discover that trust and hope go hand in hand. Gabriel Gallagher lived each day as it came believing he had everything he could possibly want . . . until a determined woman and her brother arrive with a little luggage and a lot of secrets. It will take a drastic choice to protect her and give them both hope for the future. He finally had a family to call his own. She now knew what it meant to risk it all. Together they had a chance to find peace at last. Eliza Gallagher is tough, resilient, and rides a horse like she was born in the saddle. All necessary qualities for someone who runs a cattle ranch. She had more to avenge than any of them and she was counting on those skills to finally find the justice they all sought -- until she realized it could cost her everything and everyone she loved. Ramsey Hunter finally knew what it was to have a family and what it took to keep that family together. He knew coming back wouldn’t be easy, but he never imagined what he would have to risk to keep it. Eliza got him home; now Ramsey has to do whatever it takes to save her life and help bring peace to Hawk’s Peak. 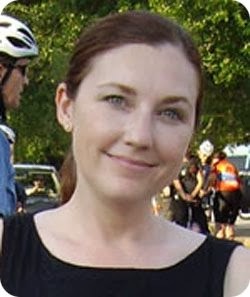 MK McClintock published her first novel, Gallagher's Pride, in July 2012, and followed one month later with the release of her second book in the same series, Gallagher's Hope. Her third novel, Alaina Claiborne, was published in January 2013. Gallagher's Choice, the third book in her Gallagher Series, was released in August 2013. She is now working on her next story. McClintock dreams of a time when life was simpler, the land rougher, and the journey more rewarding. With her heart deeply rooted in the past and her mind always on adventure, she lives and writes in Montana. McClintock is a member of Romance Writers of America, Montana Romance Writers, and Women Writing the West. The author is giving away these fabulous prizes! I recently downloaded a free copy of The Guestbook by Andrea Hurst to my Kindle. The digital version of this novel currently costs $2.99. BLURB: This book weaves together the heart of Nicholas Sparks, the romance of Nora Roberts, and the charm of Debbie Macomber. 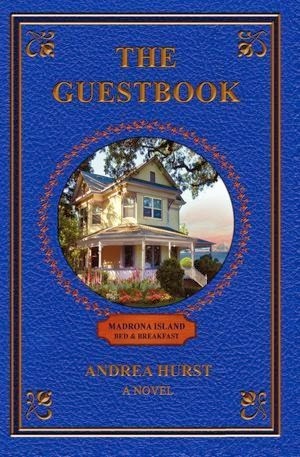 The Guestbook is the first book in the Madrona Island Trilogy. COVER: Though the book blurb is what ultimately made me download this novel to my very overloaded Kindle Fire, it was the beautiful cover that attracted me. Meant to look similar to a guestbook, the blue and gold work nicely together; and who can resist that lovely farmhouse surrounded by colorful flowers? FIRST CHAPTER: Lily's marriage has been falling apart for years now. She doesn't know why she stays. When she discovers her husband's secret, she flees her picture-perfect life and heads to Washington State, where she has inherited her grandmother's old farmhouse that had been turned into a bed and breakfast. KEEP READING: Definitely. The prologue and first chapter both pull at your heartstrings. The prologue puts into motion what will eventually draw Lily back to her grandmother's farmhouse. The reader meets Margaret, Lily's grandmother, who has recently drawn up her will. The first chapter then brings Lily and her husband Brad into the picture. From the moment you meet them, you sympathize with Lily for being saddled with such an insensitive guy. And once you learn his secret, you're happy Lily is leaving him far behind. Hurst immediately draws you into this story. She quickly sets the stage in this opening chapter for getting Lily from California to Washington State, where she will take over the running of the bed and breakfast. There's a female neighbor introduced in this chapter as well. I hope we'll see more of her as the novel progresses. It also looks like food will play a significant role in the book. Hurst's descriptions of Lily working in the kitchen were enough to make my mouth water. 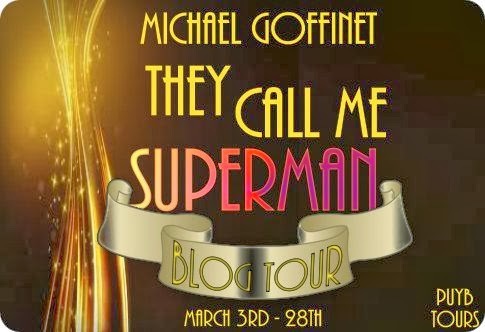 Michael Goffinet is on tour with Pump Up Your Book to promote his action/thriller novel, They Call Me Superman. BLURB: Marcus Evans is a new kind of super hero. 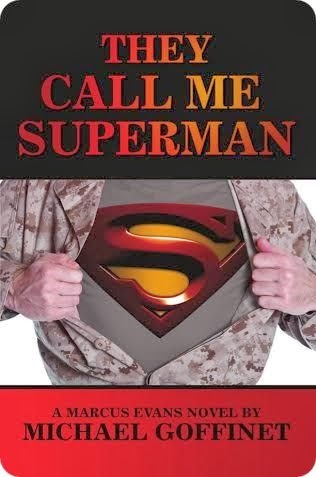 Born with superhuman strength, he is compelled to join the Army Rangers, where his abilities create an unique assassin against the war on terror. After his stent with the Rangers, he joins forces with reclusive billionaire, Robert Sinclair, who has been his mentor and father-figure since the age of sixteen. A whirlwind of action-packed adventures lead Marcus to the discovery of an alien spaceship that unlock secrets about his life, which will shock him to his very core, secrets that Robert has been hiding his entire life. COVER: I love the contrasting colors of this one and the mix of the camouflage jacket hiding his superhero symbol. FIRST CHAPTER: It is 500 B.C. Commander Tallaios and his crew are in a desperate situation. They've lost power on their ship and are in danger of crashing. As the commander contemplates their plight, he also considers how horribly wrong everything went. KEEP READING: I'm on the fence over this one. I like the premise of the story stated in the blurb, and found the opening paragraphs of the first chapter to be a wonderful hook. After that, however, the pace is slowed by pages and pages of backstory, until the last two paragraphs bring it back to Commander Tallaois on the ship, which leave the reader with a thrilling cliffhanger. Goffinet definitely has the ability to draw the reader in quickly, but the backstory encompasses so much time and a variety of events that the excitement fades and soon the present day suspense is broken. I would be willing to give this book another couple of chapters to see where the story goes from here, but if I get buried by more backstory I'm not sure I would go further. 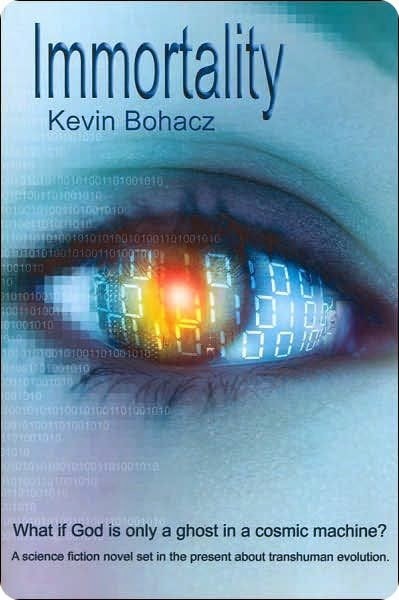 If you like gadgets and gizmos that make up science fiction and unique medical advances, you might enjoy this book. Goffinet has a vivid imagination and it definitely shows in these sections of the chapter. I received the first chapter of this book from the author through Pump Up Your Book. This review contains my honest opinion, which I have not been compensated for in any way. Michael Goffinet was born and raised in Southern California. After earning his Masters of Health Administration degree, he worked in the health care industry for the last two decades. He currently resides in Las Vegas, Nevada with his wife of twenty years and his teenage son. He is an avid golfer and when he’s not reading or writing he can be found on the golf course. Visit his website at www.michaelgoffinet.com. I'm starting this one tonight. I just finished this book two nights ago. I stayed up until 2:30 a.m. even though I knew the alarm would be ringing at 6:30 because I could not put it down. I highly recommend this emotional and superbly written novel. 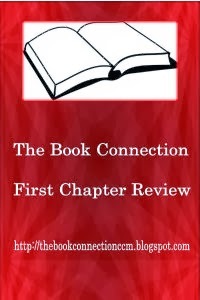 My review will appear at The Children's and Teens' Book Connection on the 25th. What's it like to be undocumented? High school senior M.T. knows all too well. With graduation and an uncertain future looming, she must figure out how to grow up in the only country she's ever called home... a country in which she's "illegal." M.T. was born in Argentina and brought to America as a baby without any official papers. And as questions of college, work, and the future arise, M.T. will have to decide what exactly she wants for herself, knowing someone she loves will unavoidably pay the price for it. On the way, M.T. must navigate first love, letting go of her childhood friends as they begin a life she can't share, a difficult relationship with a father who grew up a world away and a mother struggling to find her way in America. What is it like when the only country you've ever known says you don't belong? The Secret Side of Empty offers an intimate, often surprising glimpse into a story you often hear on the news but have never heard told this way before. Author Maria E. Andreu draws from her personal experience as a former undocumented immigrant to explore issues of belonging, keeping secrets and what it's like to be undocumented. 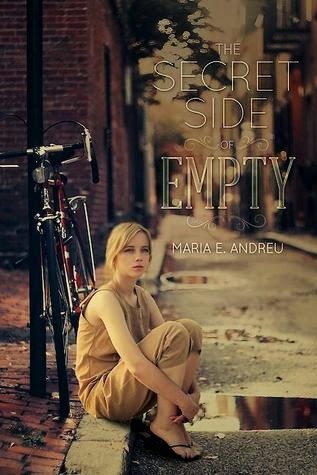 More than that, The Secret Side of Empty is a story that will touch anyone who has ever felt excluded or unsure about the future or has kept a secret she felt was too big too share. I also finally finished these two research books on Mount Holyoke College that I needed for a writing project. I'm honestly not sure because it depends on how long it takes me to read Steam and Strategem. My next book for review that is due next month is the latest installment in F.M. Meredith's Rocky Bluff P.D. 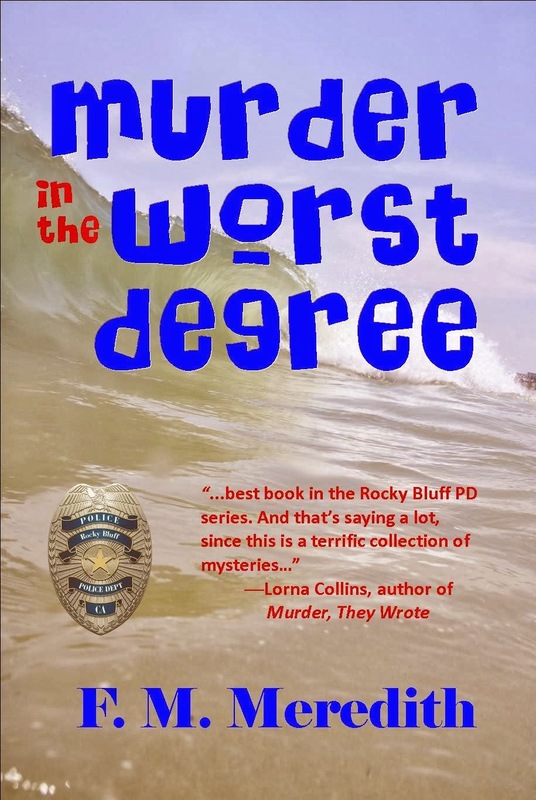 series, Murder in the Worst Degree, so it might be that. 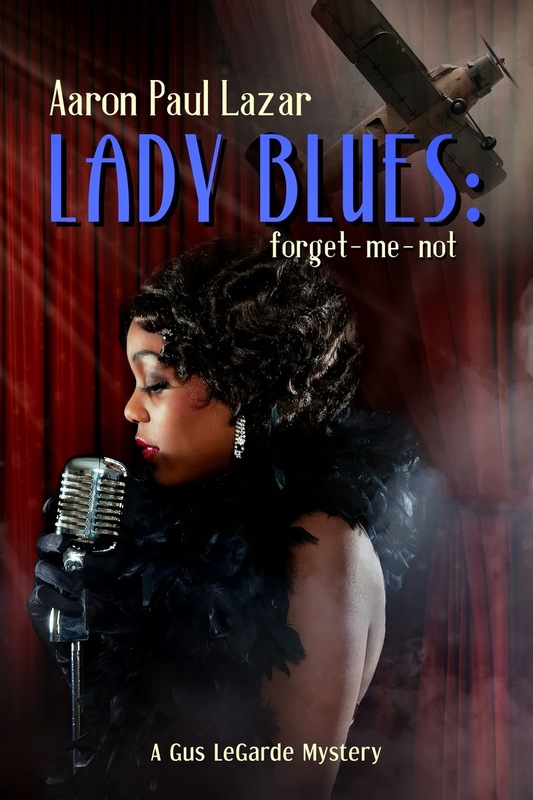 Lady Blues: forget-me-not is the latest Gus LeGarde mystery from Aaron Paul Lazar. BLURB: Past and present collide when an Alzheimer’s patient’s fragile memory holds the key to solving mysteries dating back to World War II—including a long lost secret love affair. COVER: What a neat cover. As you probably remember, I like people on covers, so I'm drawn to this feather-clad jazz singer. The airplane in the top corner speaks to the plot of an unsolved mystery. 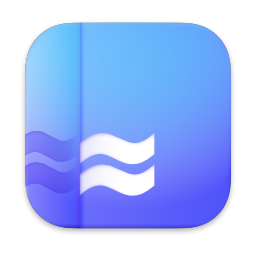 I also like the blue color and font used for the title. FIRST CHAPTER: Siegfried and Gus are walking along a New York street when Siegfried's sixth sense kicks into high gear. He takes off at a fast clip with Gus following confusedly behind. They come to a building, the top apartment of which has black smoke streaming from it. KEEP READING: Absolutely. Like everything else I've read by Lazar, this story captures you quickly and fully. A leisurely walk turns into a race to save lives. Within a few short pages, Lazar's masterful storytelling draws you in to the point you must discover what happens to the people you've only just met. I look forward to reading the rest of this latest Gus LeGarde mystery. Are you ever embarrassed to read certain books in public? While electronic devices have helped with this issue, are there ever books you simply wouldn't want people to know you're reading? 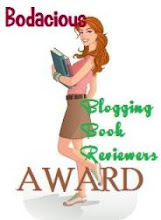 And if the answer is yes, do you review those books on your blog? I'm known to take a book almost everywhere we go. There are so many books I'm eager to read that I don't want to waste time waiting in the doctor's office or during my daughter's soccer practice by not having a book with me. I still have tons of printed books here, so that means my reading choices are open to scrutiny by others. While I don't read a ton of them, I have been known to enjoy a blood-pumping, steamy romance novel. At the other end of the spectrum, I read many children's books since that's the market in which I write. Since romance novels are usually my late night reads, I'm not worried there; but I do wonder what people think when they see me reading children's books to myself. I review almost everything I read at my blogs. So what about you? Anything you're embarrassed to be seen reading? Is there a certain person or persons you wouldn't want to know what you're reading? 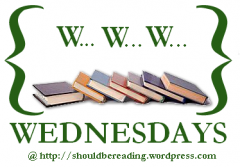 Do those embarrassing books end up on your blog? 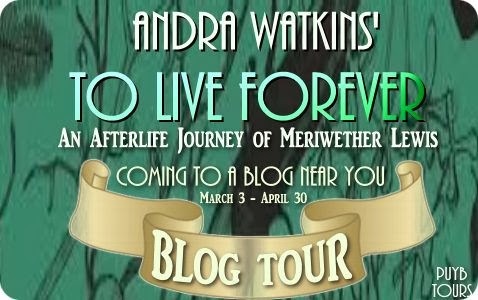 To Live Forever: An Afterlife Journey of Meriwether Lewis by Andra Watkins is an historical paranormal suspense novel. The author is on tour with Pump Up Your Book this month. BLURB: Explorer Meriwether Lewis has been stuck in Nowhere since his mysterious death nearly two centuries ago. His last hope for redemption is helping nine-year-old Emmaline Cagney flee her madame mother in New Orleans and find her father in Nashville. To get there, Merry must cross his own grave along the Natchez Trace, where he duels the corrupt Judge, an old foe who has his own despicable plans for Em. COVER: Not my favorite, but it captures an explorer's world and the era in which Lewis lived, so it does a great job of connecting with an historical figure who is part of the book. I would prefer a smaller font for the title. The busyness of the background design might require a larger font to make the title clear, but maybe a little smaller wouldn't get rid of the feeling it's screaming at you. FIRST CHAPTER: It is 1977, and nine-year-old Emmaline Cagney sits with Aunt Bertie on a bench outside a hot, steamy New Orleans courtroom. Soon the judge will decide which parent will be awarded custody of the girl, and Emmaline knows who she hopes it will be. KEEP READING: Yes. I am totally fascinated by this book blurb and a strong first chapter that draws you in from the moment you sit alongside Emmaline on that bench outside the courtroom. Watkins has a keen eye for detail that puts the reader right into the story so she sees what Emmaline sees and hears what she hears. Meeting her in such a vulnerable state endears you to this character and makes you hope everything will turn out all right. 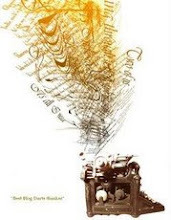 If the author can immediately make you feel such emotions, you can only imagine how deeply you will be connected to Emmaline by the time you reach the end. Kudos to Watkins for tugging your heartstrings quickly and pulling the reader so fully into Emmaline's story. 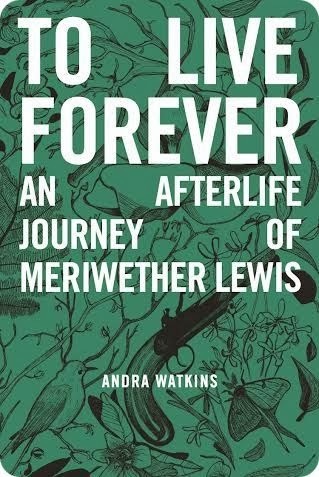 I’m the author of To Live Forever: An Afterlife Journey of Meriwether Lewis from Word Hermit Press. It’s a mishmash of historical fiction, paranormal fiction and suspense that follows Meriwether Lewis (of Lewis & Clark fame) after his mysterious death on the Natchez Trace in 1809. You can email me at readme(at)andrawatkins(dot)com. You can also visit my website at www.andrawatkins.com or follow me on Google+,Facebook, Twitter, Tumblr, Pinterest and Goodreads. I received the first chapter of this book from the author through Pump Up Your Book. This review contains my honest opinions, which I have not been compensated for in any way.